Funny story. I can sleep through anything. My girlfriend, on the other hand, cannot. Every so often due to a very sensitive stomach, one of my dogs throws up early in the morning. And every time it happens, he wakes up my girlfriend. She always seems mad at me because I sleep right through it, but I’m always thankful because who the heck wants to wake up to that sound? Anyway, an app that can give you that experience without the need for a morning cleanup is now available on Android and iOS. 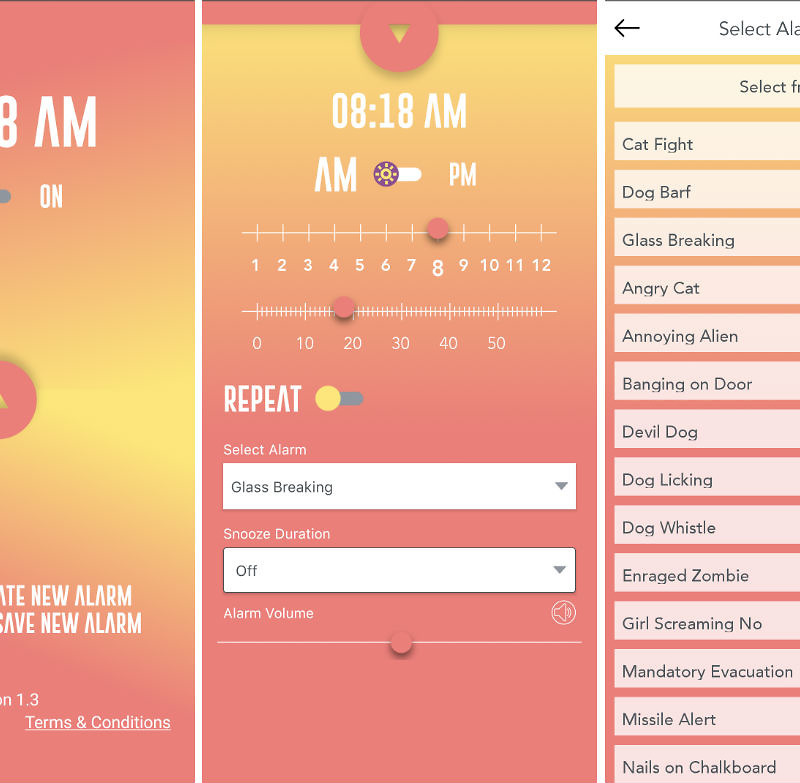 Called Odd Alarm, this alarm app gives you a variety of odd sounds to wake up to, such as glass breaking, cats fighting, and yes, a dog vomiting. While the app is completely free to download and use, the major downside is that each sound beyond the initial three are behind a paywall. In total, there are 20 sounds to choose from, with 17 locked behind individual $0.99 in-app purchases. So, in order to set a sound that isn’t cats fighting, a dog barging, or glass breaking, you’ll be paying $0.99 to start. Instead of this, I’d much rather have a bundle deal, like 10 sounds for $5, or an initial app purchase for $1.99 which would come with 10 sounds already unlocked. If you want to give Odd Alarm a try, follow the link below.